Photographs by Sharon Harper. Essays by Jimena Canales and Phillip Prodger. "From Above and Below" features ten years of Sharon Harper’s conceptual photographs and video stills exploring perception, technology and the night sky. 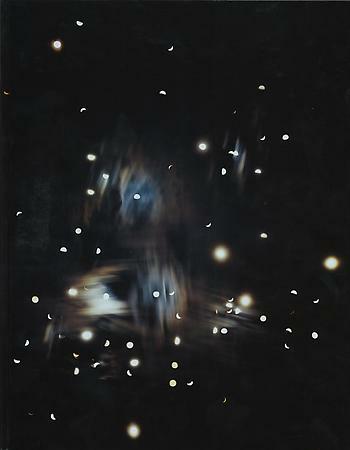 Her experimental images of the moon, stars and sun draw on scientific and artistic uses of photography to illuminate the medium’s contradictory ability to both verify empirical evidence and to create poetic connections between our environment and ourselves. The book features essays by Jimena Canales and Phillip Prodger and work from seven distinct series: Moonfall (As Imagined by the Off-Duty Ferryman in flight over the River Styx), 2001, Moon Studies and Star Scratches, 2003 – 2008, One Month, Weather Permitting, 2009, and Twelve Hours from Winter and Spring, 2009, Sun/Moon (Trying to See through a Telescope), 2010 – Ongoing, and stills from the video piece Landshift, 2012.